Can I Order As A Non-Member? Yes, of course you can. However, there are absolutely no tie-ins with membership and only members can buy at the discounted prices/use our Themed Book Search facility. Membership is easy, relaxed and great value (£5!) Joining us as a member also means you are supporting us in promoting inclusive children's books. Members can also buy any of our bookpacks at the discounted members' price (varies from 12%-15% off; see individual bookpacks for details). Only Letterbox Library members are able to click on the 'Themes' tab. We are famous for our specialisms, so being able to see our collection of books organised by theme is a very popular service search facility. Search for books on Bereavement or those showing Mixed Race Representations or books dealing with Family Break-Up. ...at least, that is how we hope you will feel! By joining us as a member, you are joining our Letterbox Library community. This means you are supporting the cooperative movement, independent bookselling and the not-for-profit social enterprise sector. It also means you are supporting Letterbox Library in our commitment -as well as demonstrating your own commitment- to advancing the principles of inclusion and equality. *Important Little NB: please note there are absolutely- and we mean absolutely- NO ties-ins with membership of Letterbox Library. You only order what you want when you want it*. All of those benefits and glow for a small annual fee of £5! For just £5, you can become a member of Letterbox Library. 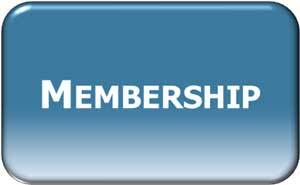 You can become a member straight away by ordering your annual membership online: simply click on the 'Add to Cart' button below. You can renew your membership in the same way. Whether you are contacting us by phone, email, post or online, you are welcome to simply pay for membership and place your book order at the same time. Your discounts will apply immediately to that first order. If you are paying for membership at the same time as placing your book order online, please note that you won't see the discounted prices/discounted total at this stage. With this first order, we will however still apply the discounted prices at our end; you will only be invoiced and charged these discounted prices (even if you supply your credit card details). And, of course, the discounted prices WILL show up on subsequent orders you place with us. **IMPORTANT** Please be aware that membership is for customers who support the work of Letterbox Library by buying books. If you take out membership but do not make a purchase after three months your account will be suspended. This is a necessary measure to ensure our continued survival and protect the work of our many unpaid volunteer reviewers.